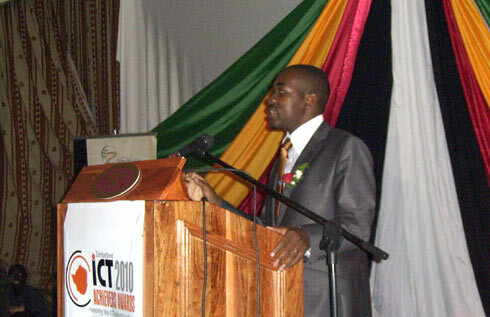 Some 3 weeks ago, we posted that nominations were underway for the inaugural Zimbabwe ICT Achievers Awards. The awards ceremony was held last night at a hotel in Harare. This year’s ICT achievers were announced and recognized for their shining contribution to the country’s ICT sector. In total, there were 4 special awards and 7 categories for the achievers. We’re still trying to get the details about the winning companies and individuals’ achievements so all this can be digested in context. We will post the achievements once we lay our hands on them. next year im grabbing quite a bunch! what did each do, particularly the individuals. would be nice if you shared the exact achievements. Companies like Econet and NetOne or individuals like Douglas Mboweni are easy to identify by association or popularity of their companies. but the others…? Have u guys got your hands on info about what exactly these individuals did as yet? I thot Kubatana would win the Top ICT Civil Society/NGO award. I also think this awards programme should be expanded to include bloggers. some of those people we worked forthem and have done totaly nothing (literaly except owe people) since we left them for the last two years….